The United Kingdom is a dream destination for students as there’s so much to do! Whether you’re into the arts, science festivals or simply admiring the classic British architecture, there is something for everyone. Maybe you’re thinking of setting off on a new study abroad adventure soon or maybe you’re already in the UK enjoying all the British culture has to offer – either way here are some unique things to do in the UK in 2019. You’ll find one close to each of our INTO study destinations! With The Beatles, Jack the Ripper and Harry Potter walking tours to choose from – you can have fun, learn lots and keep your fitbit happy! 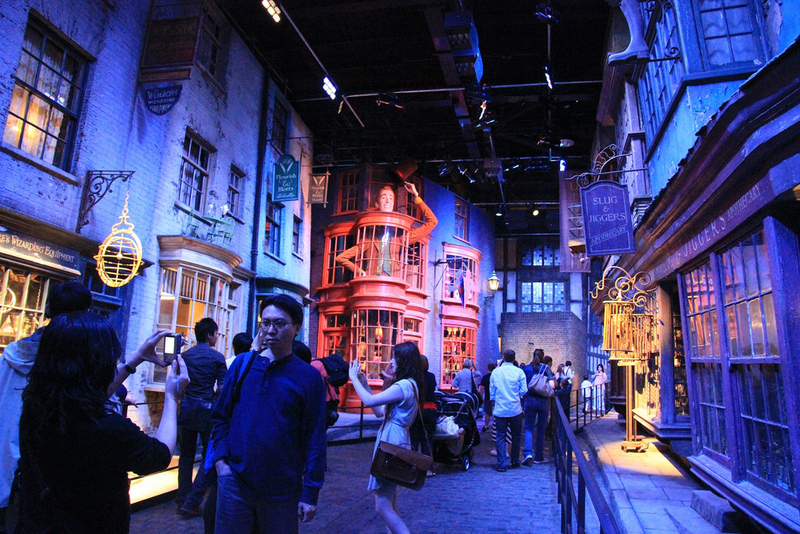 If you’re looking to do something quintessentially British in London, a literature-inspired, film-themed or historical walking tour is perfect for INTO London, INTO City, University of London and Newcastle University London students. Now, I know what you’re all thinking… and yes, there is a walking tour of Harry Potter! You could explore film locations of the world’s favourite wizard, discover dark and grisly Victorian London, or follow in the footsteps of the great detective Sherlock Holmes. INTO Glasgow Caledonian University students are fortunate enough to live amidst the festivities of Celtic Connections – a celebration of Celtic music and its connections to other cultures across the globe in one the world’s largest winter music festivals. Featuring 2100 music artists and 300 events in 20 different venues across Glasgow, this annual music festival brings the city to life with concerts, art exhibitions, talks, ceilidhs and free events. 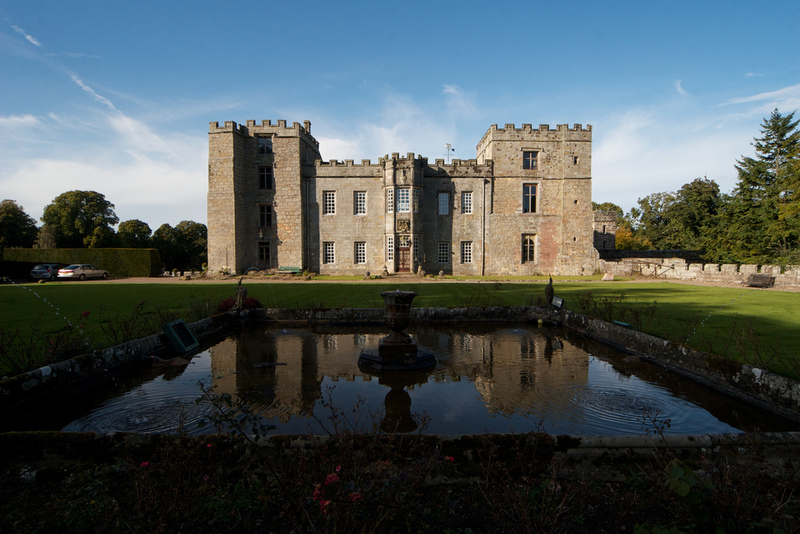 If you had the opportunity to visit “Britain’s most haunted historic castle,” would you go? Chillingham Castle is famed for its frightening history. Take a look around the armoury to see how the castle was defended and then walk through the great hall to see where the royals were entertained. INTO University of East Anglia students have an internationally-renowned festival right on their doorstep. The Norfolk and Norwich Festival runs for just over two weeks in May and features more than 100 incredible theatrical, musical, circus and visual art performances. Why is this unique thing to do in the UK? Well, it’s one of the oldest city festivals in England – dating back to 1824! Today, the fusion of UK and international cultures in its beautiful theatrics makes this festival a truly remarkable depiction of modern-day Britain. Yes, you read that correctly – cheese rolling. This is a real event held every year, where contestants attempt to chase an 8lb rolling wheel of cheese down a hill. What makes this event even more bizarre is that the cheese wheel can reach speeds of up to 70 miles an hour, making this the most dangerous event on our list! But don’t worry, you don’t have to compete to join in with the fun. It’s actually far more entertaining for INTO University of Gloucestershire students to watch cheese-hungry contestants hurl themselves down a hill! Summer Solstice occurs on the longest day of the year, when the sun reaches the highest position in the sky. In the UK, this event is commonly associated with Stonehenge – a sacred ring of standing stones which has been considered one of the great wonders of the world. No-one is entirely sure how the stones got there and why they were placed in a circular position, but it’s thought to derive from pagan rituals. During Summer Solstice, the sun shines through the Heel Stone as it reaches its highest point and the first rays of light shine into the centre of the monument. This really is a beautiful, spiritual experience that reminds us just how amazing nature is. Féile an Phobail, translated as ‘Festival of the People’, is Ireland’s biggest community festival. This popular event was started in 1988 to provide positivity at a troubled time for Northern Ireland, promoting Irish and international culture. Last year’s festival brought a mixture of live music, comedy, debates, theatrical performances and, of course, lots of good food. INTO Queen’s University Belfast students – why not embrace Irish culture and party with the community? The Stirling Highland Games is an action-packed sporting competition that features everything from running and cycling to highland dancing, bagpiping and a tug o’ war – far removed from what our predecessors endured. If there are any Game of Thrones fans here, you can pretty much picture that! But this contemporary – more civilised – Highland Games is still of epic proportions, with new types of ‘warriors’ battling it out. INTO University of Stirling students shouldn’t miss it. The UK is the birthplace of some of the greatest science figures in history. Did you know Isaac Newton, Charles Darwin, Stephen Hawking and Rosalind Franklin were all born in the UK? The Manchester Science Festival is an event that honours science in a creative and playful way. Last year’s festival included ‘Distortions in Spacetime’ – a sensory creation that allowed visitors to discover what it would feel like to step into a black hole. What wonderment will this year’s event hold for INTO Manchester students? You may also like to read about when Manchester was crowned the European City of Science in 2016. Remember, remember the fifth of November – a night when Guy Fawkes, a member of the Gunpowder Plot, was arrested while guarding explosives beneath the House of Lords. Bonfire Night, also known as Guy Fawkes Night, is one of the UK’s most famous events. It commemorates the Gunpower Plot – a failed assassination attempt of King James I by Guy Fawkes and his gang. Every November, people across the kingdom swarm to attend fireworks displays in celebration. You’ll find events in every city! So what does ‘The Tar Barrels’ have to do with this? Well, this event takes bonfire night to the extreme. 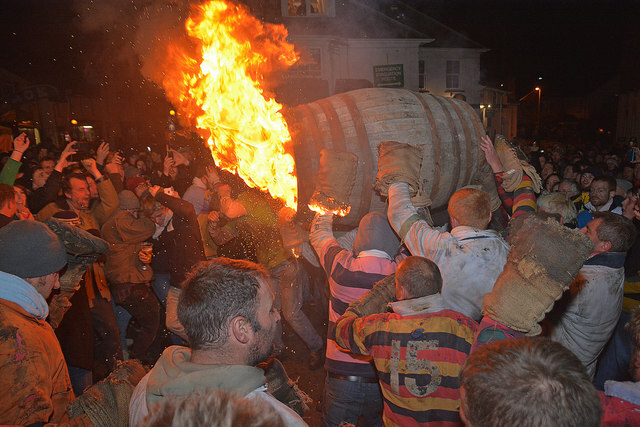 Not too far from INTO University of Exeter, this bizarre festival follows a 400 year tradition of running through town carrying blazing barrels of tar. Which unique things to do in the UK will you be going to? Share your pictures using the hashtag #helloINTO, we’d love to see what you get up to outside the classroom! You may also like to read about Chin’s adventures discovering Devon or more about the real UK university experience. To keep up to date with student life and learning in the UK, follow us on Facebook, Instagram and Twitter! My name’s Ciara and I’m a Content Editor at INTO, based in Brighton, UK. I’m a keen writer and enjoy creating inspirational content to help guide our students through INTO programmes and beyond! In my spare time, I love to try out exciting new restaurants and socialise with friends.